We are glad to have you here at the Gemini Data Reduction User Forum for the first time. You are welcome to browse the forum right away, but if you want reply to a question or post a new one, you need to register first. Registered users can also vote for topics and replies. Go to http://drforum.gemini.edu/wp-login.php?redirect_to=index.php (or go to http://drforum.gemini.edu and click on “login” in the top mennu bar). 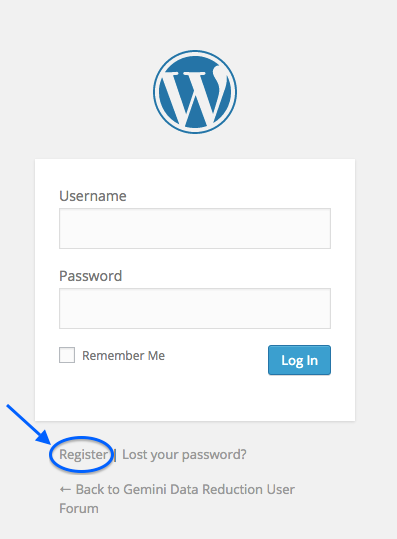 Click on “Register” below the login (white) box. Prove that you are not a robot by playing the little game. Click on “Register”. You will receive a password by email. If not, check your spam folder. If not there, file a Helpdesk ticket (category: DR forum) and specify that you already checked your spam folder. Once this is done, you can login. Hope you will enjoy the forum, find what you are looking for and share your ideas with us. Visit this page to find more instructions about how to use the forum.